Product #5499 | SKU CPP-203 | 0.0 (no ratings yet) Thanks for your rating! 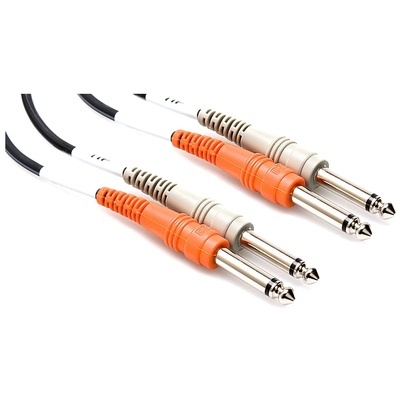 The Hosa Dual 1/4" to 1/4" Stereo Interconnect Cable (3m) features two unbalanced/mono 1/4" male plugs at both ends. The CPP200 series features Hosa's own injection-molded cable terminations, with color coded red and grey plugs at each end for easy L/R hook-up. This cable is designed to interconnect gear with stereo unbalanced phone jacks. It is ideal for use in a variety of professional and consumer applications.